+Ankit Chugh holds a Master Degree from UPES and is working with a reputed MNC related to engineering sector. He is very much passionate about blogging and always tried to do unique things. 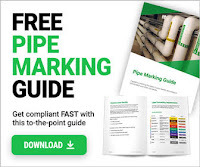 PIPING GUIDE is a quite successful startup started by him and it is indeed quite much popular in engineering sector and has been recognized well by everyone in his domain. You can catch him at Google+ & Twitter too.